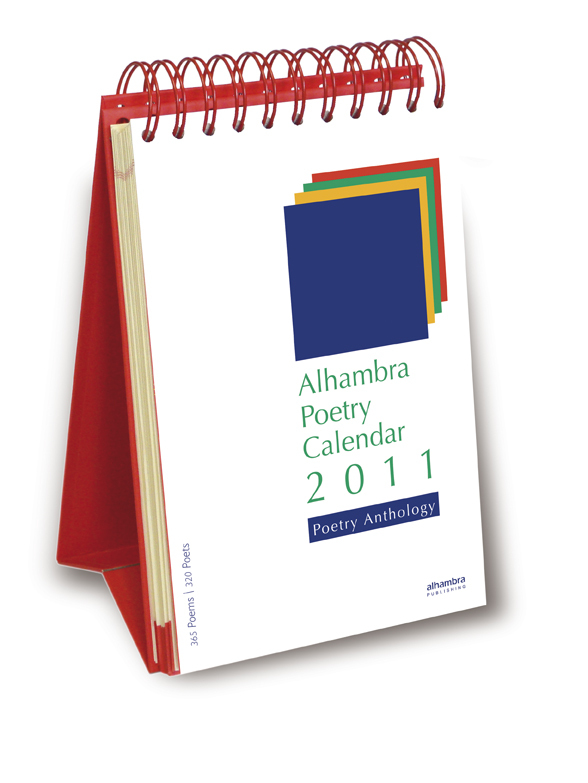 A surprise-desk calendar and a poetry anthology in one, Alhambra Poetry Calendar 2011 contains 365 poems by more than 300 poets. 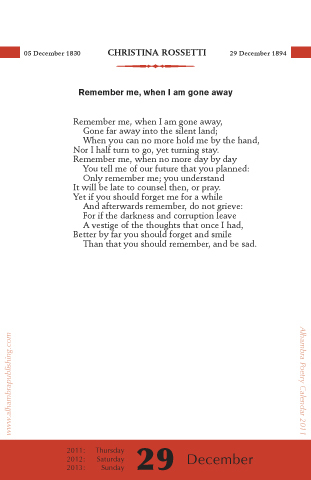 Meant for your desktop or bedside table, the calendar showcases work by some of the best British and American poets from the 14th to the 21st century. You’ll rediscover many of your favorite classics in English poetry, and welcome an introduction to the most exciting work by well established as well as new and emerging poets. The collection is edited in such a way as to present the best and the most eclectic in classic and contemporary poetry. Encompassing a wide range of poets and poetic styles, the calendar also exhibits changes in poetic forms and the evolution of the English language in poetry.